Petronas Dagangan Bhd offers a variety of petroleum products and services to retail and industrial customers. As the leading revenue generator, retail operations are the leading focus of the company. In Malaysia, the retail business includes hundreds of retail stations that also serve as convenience stores. As a compliment to its network of retail stations, Petronas offers a loyalty program that allows members to accumulate points and redeem either fuel or selected items. The company’s other businesses include a commercial unit, liquefied petroleum gas unit, and a lubricants business. Through the commercial business, Petronas markets petroleum products in bulk to manufacturing, aviation, power, energy, agriculture, fisheries, and transportation segments. Petdag aims to grow the non-fuel sector to contribute 30% of its profits in 3 years. 3iii Amazing. Another growth factor which can be implemented easily and with certainty. Definitely profitable. Petdag forced to absorb rm5 transport fee. Limit down coming? GreatWarrants Petdag-CV the best warrant with -1.69% Premium now.. Should go to RM 0.50- RM 0.60..
Godiva Oil keep dropping.. able to give 30b dividen to ph? zhen wei & JP Apa sebenarnya. Apa dah jadi keadaan sekarang. Walaupun malaysia mempunyai gred crude yang paling baik di dunia. Ia didagang pasaran singapore TAPIS pada harga pasaran 75$ setong. ATARAH RM 27.70 no problem . BN_better No way can up when PH in power and LGE still FM. BN_better Petrol 1.5 semua tipu to win votes. BN_better Had BN still in power Ron 95 RM 2 today. We never cheat 1.5 to win GE unlike PH. 3iii It[s share price is well supported by its dividends. 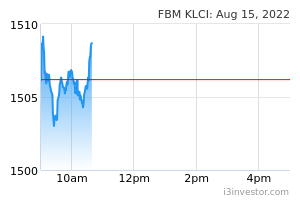 I anticipate dividend of 95 sen per share for this financial year. At 27.10 per share, this is a prospective DY of 3.5%. ATARAH Petronas recently hogged the limelight after the government announced that the state-owned energy company will release RM30 billion in dividends, prompting some rating agencies to turn negative on its outlook. The government, however., defended the move, saying that the national oil company has ample cash reserve. zhen wei & JP ? MCA_ “They promised to set the price of petrol at RM1.50 per litre. Now, it’s more like RM1 for half a litre. The price has just gone up by six sen.
DickyMe Fossil fuel will go the way of Dutch's TULIP.. Alternative energy sources are being aggressively developed. West understands the problem of being dependent on fossil fuel and the arrogance of the countries producing it. They are moving towards self reliance.Say good bye to oil. 3iii Closed 5.97% up but on low volume. (iii) higher spending on advertising and promotions. On a quarterly sequential basis, revenue is supported by volume growth from its commercial segment by +4.0%qoq. FY18 earnings accounted for 84.5% and 82.0% of our and consensus full year FY18 earnings estimates respectively. - higher product costs for LPG. Additionally, there was also higher spending on advertising and promotion during the quarter. Segment revenue grew by +18.6%yoy mainly attributable to increase in average selling price by +20.0%yoy despite a -22.8% decline in volume due to the shifting of Diesel customers from Commercial segment to Retail segment as well as; decline in fuel oil volume decreased due to lower customer demand. This however, was negated by higher sales of Jet A1 contributed by increased demand from major customers. Impact on earnings. No changes to earnings forecasts pending an analyst briefing to be held today. Dividends. 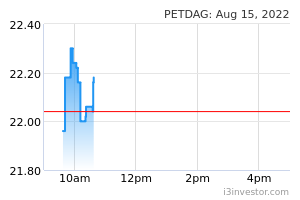 In line with its lower earnings, PetDag declared a fourth interim dividend of 25.0sen (vs 49.0sen in the same period last year). This brings its full-year dividend to 70.0sen which represents 82% payout of profit. Earnings marred by inventory lag losses. To recap, Petronas Dagangan’s 4QFY18 reported earnings declined by -83.2%yoy to RM46.7m despite a +10%yoy increase in revenue mainly attributable to: (i) the decline in MOPS prices in November and December; (ii) higher operating expenses due to aggressive asset refurbishment during the quarter and; (iii) higher spending on advertising and promotions. The inventory lag losses due to the rapid decline in crude oil price back in November and December 2018 resulted in a decline of RM232.6m in profit after tax when compared against the same period last year. Retail segment. Segment revenue grew by +3.0%yoy premised on higher volume +4.0%yoy mainly attributable to shifting of diesel customers from commercial to retail. However, earnings declined by >100%yoy due to: (i) inventory lag losses and; (ii) higher spending on advertising and promotion. Commercial segment. Similarly, commercial segment revenue grew by +19.0%yoy mainly attributable to improved volume of Jet A1 and Fuel Oil. However, the segment recorded marginally lower volume by -1.0%yoy mainly due to Diesel following the shift to retail segment. LPG segment. As for the LPG segment, it recorded flat revenue of +0.3%yoy following marginal increase in demand of +1.0%yoy from retail segment following intensive marketing activity undertaken during the quarter. Lubricant segment. Segment revenue increased by +6.0%yoy due to increase in volume by +2.0%yoy. The increase in volume is due to higher demand from customers. laosai Profit drop 83% YOY and Ron 95 max RM 2.08 why good? Extended tenure and increase of interest up to 25% .... payment for their financier was dragged up to 1-3 years (Flex muscle).